I’m writing this for most of my friends who are engaging in corporate world in various angles. Immaterial to the nature of the business you are in, the responsibilities are holding in hands, the number of brands you are handling, the amount of assets you responsible on or anything in your business world… day in and day out you shuffle your mind to get the maximum results. You may be holding a most responsible position as a CEO, CMO, COO, CFO, MD, CTO or whoever in your business… BUT, have you ever though or identified that your mind as the driving force or fuel in your business while working with your team. Most logically you may be not. This is the reason I thought of sharing my experience with you which I have gained by practicing this simple and toughest exercise. Why did I say this is Simple and Toughest? This is very simple and easy to say but very difficult to practice since we have to work with our uncontrollable and untamed mind. I love to talk about this behavioral science since I’m experiencing the real happiness in my life as a practitioner as well as a facilitator for beginners in this country. I cannot say that I have achieved 100% knowing that the spiritual parameters of measuring this is far ahead to reach with my effort!!!! I know that I have Lot more to do and much far to go… BUT, the little effort I have taken in my life to understand this philosophy and with genuine practical inputs for my life, made significant change in my day to day behavior in both personal and business. So, I do believe in improving this or be being more mindful in daily routine. Very little change in to my daily cycle by adding 30mnts to 1 hour mindfulness exercise brought me the real different in my thinking as well as behavioral science. How mindfulness will help you? Mindfulness improves productivity of your own effort and also the productivity of your social connections. Behavioral changes send the positive vibes to the environment and in return receiving the same positive values based on the law of attraction. I want to ask a simple question to take a start for this discussion. Are you a Mind Full Leader OR Mindful Leader??? We most of the time show up with Mind Full behavior and very less with Mindful behavior. I do not see this as your fault, because you and I both live in this dynamically moving world. All our six sensory organs eyes, ears, tongue, skin, nose and mind continuously connected with never ending environmental waves. All this make our mind full with things that we need or irrelevant. Behavior of our mind as an untamed animal, trying to connect with each and every stimulus receive through the six sensory organs. This is making our mind full with many things. The effort of mindfulness is to get rid of all these and connect the mind with the present moment to get the maximum output or improve the productivity of what he/she is doing at the present moment. I would like to deliver one important message with this. You all get experience from the past to plan for your future… BUT, if your mind is not at the present moment or if you are not mindful with your planning, your planning for future will be a failure since this moment is the starting point for your future. Your life is becoming more and more stressful and competitive to survive with changes in social, cultural and other environmental parameters in the world. You are more concern of utilizing your time running behind material happiness by forgetting your psychological happiness what I can see as the real happiness in this universe. Your liking are changing day by day. Your inner chemistry is changing in every minute, your behavioral science is changing at a phase. What you wanted yesterday may not be needed today. Day in and day out you are trying to feed for what your mind is demanding in every moment. Can you find a start or an end in this behavior??? This behavior in your life make you regret on what happened in the past, which no one can correct. At the same time your anxiety on uncertain future do not bring the happiness in the present moment. So, are you experiencing the best present moment you spend in your life??? When you highly worry about the past and the future, you will loose the beauty of the present moment. If you can see the present moment as the best moment in your life, If you can feel the person in the present moment as the best person whom you have ever met in your life, If you feel about the things what you do at the present moment as the best thing you do in your life… your life become very much easier and happier. Mindfulness is all about living in the present moment by connecting your mind with your physique. Your mind is always traveling faster than anything in the world. To a common man, it is very difficult to keep the mind in one location. Mindfulness is a meditation techniques used since 2600 years back to tame your mind which is wandering without your permission. This meditation can practice sitting in a lotus posture by giving the whole attention towards your breath which goes in and out. Your never ending inhalation and the exhalation are the pathway to this beautiful journey. Focusing on how your body is changing with your in-breath and out-breath and the feeling you get with this condition will help to connect your untamed mind with your body. You can practice this even by walking or even while you have your meal and any of the activity you do your daily life. Sometimes you might feel that sitting in one place do not bring energy to keep your mind in one place or on one focus. So that you may practice walking mindfulness which your attention and focus must works towards the movements of your legs. Your focus attention towards, how your legs are moving forward, touching the ground, feeling you get along with these movement will help to bring your mind connected with the body. Add this to your daily routine as you take your meal. Continuous practice on this will help to develop your brain capacity, your productivity by reducing your stress. Experience the real happiness being in the present moment. In our view Parliament should not be bypassed even with the consent of Parliament itself for the purpose of bringing in a new Constitution. An improperly motivated act even if done through proper means will never give a wholesome result. Similarly, an act though claimed to be done with proper motives, if carried out by improper means would still give the same unwholesome result. Thus the motive and the means to achieve the end both have to be proper when creating a new Constitution. Though one may argue that the motives are not visible and therefore have to be taken at face value, the means cannot be justified in that manner since they are specified in our Constitution for all to see. The many friends this Country never had when there was an actual need (during the period this Country was held to ransom by Terrorists) cannot claim to have ” moral ” authority to preach to us that we aught to violate our own Constitutional provisions since they were the most vociferous in insisting that we strictly follow the Rule of Law. Legislative power includes adding , amending or repealing any provision of the Constitution. However, Parliament cannot suspend the operation of the Constitution. But it can bring a law to repeal the whole Constitution provided the same law enacts a new Constitution to replace it (Vide. Article 75. The manner in which amendments (including additions and repealing) should be done is provided in Chapter XII of the Constitution. Due to its importance when following the ” Rule of Law” for the purpose of enacting a new Constitution the entire chapter is reproduced below. 82. (1) No Bill for the amendment of any provision of the Constitution shall be placed on the Order Paper of Parliament, unless the provision to be repealed, altered or added, and consequential amendments, if any, are expressly specified in the Bill and is described in the long title thereof as being an Act for the amendment of the Constitution. (2) No Bill for the repeal of the Constitution shall be placed on the Order Paper of Parliament unless the Bill contains provisions replacing the Constitution and is described in the long title thereof as being an Act for the repeal and replacement of the Constitution. (3) If in the opinion of the Speaker, a Bill does not comply with the requirements of paragraph (1) or paragraph (2) of this Article, he shall direct that such Bill be not proceeded with unless it is amended so as to comply with those requirements. (4) Notwithstanding anything in the preceding provisions of this Article, it shall be lawful for a Bill which complies with the requirements of paragraph (1) or paragraph (2) of this Article to be amended by Parliament provided that the Bill as so amended shall comply with those requirements. (5) A Bill for the amendment of any provision of the Constitution or for the repeal and replacement of the Constitution, shall become law if the number of votes cast in favour thereof amounts to not less than two-thirds of the whole number of Members (including those not present) and upon a certificate by the President or the Speaker, as the case may be, being endorsed thereon in accordance with the provisions of Article 80 or 79. (6) No provision in any law shall, or shall be deemed to, amend, repeal or replace the Constitution or any provision thereof, or be so interpreted or construed, unless enacted in accordance with the requirements of the preceding provisions of this Article. (7) In this Chapter, “amendment” includes repeal, alteration and addition. (b) a Bill for the amendment or for the repeal and replacement of or which is inconsistent with the provisions of paragraph (2) of Article 30 or of, paragraph (2) of Article 62 which would extend the term of office of the President, or the duration of Parliament, as the case may be, to over six years, shall become law if the number of votes cast in favour thereof amounts to not less than two-thirds of the whole number of Members (including those not present), is approved by the People at a Referendum and a certificate is endorsed thereon by the President in accordance with Article 80. 84. (1) A Bill which is not for the amendment of any provision of the Constitution or for the repeal and replacement of the Constitution, but which is inconsistent with any provision of the Constitution may be placed on the Order paper of Parliament without complying with the requirements of paragraph (1) or paragraph (2) of Article 82. (2) Where the Cabinet of Ministers has certified that a Bill is intended to be passed by the special majority required by this Article or where the Supreme Court has determined that a Bill requires to be passed by such special majority, such Bill shall become law only if the number of votes cast in favour thereof amounts to not less than two-thirds of the whole number of Members (including those not present) and a certificate by the President or the Speaker, as the case may be, is endorsed thereon in accordance with the provisions of Article 80 or 79. Unless the correct procedure is followed any amendment will be invalid. From the above it can be seen that the only method of enacting a new Constitution without violating the “Rule of Law” would be by bringing a Bill containing the entire proposed ( new) Constitution. (Vide Article 82(2) above). In fact unless it is done in that manner it will not be considered valid Law (Vide. Article 82(6) above). 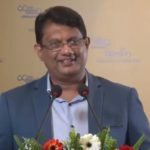 Any conspiracy to bypass Parliament in Constitutional making would also amount to an attempt to deprive the people of Sri Lanka of their Sovereignty. Thus it should be clear, to follow the Constitution when bringing in a new Constitution should not only be for the purpose of following the ” Rule of Law” but to give the new Constitution validity and for Parliamentarians to avoid being imprisoned by not being a part of any conspiracy to abdicate their legislative powers exercised on behalf of the people. Since there is currently a discussion of replacing the entire Constitution, assuming that the calls for the implementation of the ” Rule of Law” by ” Civil Society Activists”, “International Community (that does not respect this Country’s Sovereignty)”and their fellow travelers in the recent past was a genuine call, it is hoped they would join hands with us when we call upon our legislators not to violate our Constitution. Unfortunately, the people of this Country would find it difficult to trust the incumbent Prime Minister on his genuineness and suitability to spearhead the amendment/new constitution given his past record. The obvious example that comes to any body’s mind would be the infamous CFA which he signed violating the very same Constitution he voted for as a member of parliament in 1978. In his previous term as Prime Minister in2002 bypassing the elected head of State, he signed this agreement with a terrorist organization headed by a convicted criminal compromising the sovereignty, defense, & security of the Country.This act in our view amounts to Treason. Though subsequently with a change of Government terrorism was overcome and National security preserved, the cost was that much more due to the benefits derived by the terrorists and their supporters by the CFA.In fact much of our present day predicament is due to this unwarranted recognition given to a band of terrorists and their supporters. Any procedure which seeks to bypass the established norms and procedure as per the Constitution for the purpose of creating a new constitution or amending it , without people feeling that they are part of it will result in opposition and continued criticism of the final product. Even though the 1978 constitution may have been passed legally, the drastic changes in the structure of the Constitution were never debated among the people. The result is even those who were part of the making and approving process now criticize the very same and want to change it! The 13th amendment was imposed on us in the background of the ill conceived Indo-Lanka accord notwithstanding the opposition of the majority in this country. To date the opposition to the 13th amendment continues and if a referendum is taken on this today one will see the true picture. The same fate was experienced by the 18th amendment which was passed in the parliament legally but never tested for acceptance by the public. Therefore if any more amendments/or a new constitution is made without the content being first put forward to the public for discussion with wide participation and inclusiveness of the people, another set of problems and a long drawn resistance would be the result. The correct way of bringing amendments and seeking the peoples mandate is stipulated in the Constitution. There should be an opportunity for people to take their concerns to the Supreme Court and debate them adequately. The commission that went around may have collected ideas.However, even ideas of certain people who made written representations have not been produced by the commission as an appendix.Thus ideas not to the liking of the commissioners have obviously been left out. Thus their report or new reports or suggestions that the commission may subsequently produce CANNOT BE CONSIDRED AS CONSENSUS OPINION OF THE PEOPLE OF THIS COUNTRY. Unless each separate amendment is taken separately through the correct process through Parliament and tested at a referendum such will lack both moral and legal authority. Therefore Citizens must express and continue to express our views in public and protest against any deviation in the process of making a new constitution/amendments or inclusion of any clauses which could harm the national interest. Our Suggestions on concepts and the content of amendments or a new Constitution. As to the content of any proposed amendment (provided it is done within the Law as aforesaid) we would insist that our legislators stick to at least the basic safeguards of the Unitary character of our State, Sovereignty not to be alienated from the Parliament and the President( or any future head of State in any other form) and the protection of our National culture by genuinely affording protection to our Buddhist way of life. With the above basic safeguards in place, any amendment which enhances quality of life of our Citizens, while constantly protecting our National interest may be carried out. 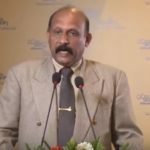 Any amendment which seeks to achieve what the terrorists and their supporters sought to achieve through violence but failed , but is now being proposed by those who claimed that the LTTE were their sole representatives should not be considered. This is based on the following moral and legal argument. a) Successive Governments offered negotiated settlements of whatever grievances that were claimed to have existed. b) These were all rejected by their sole representative the LTTE who wanted a “solution” by separation of the Country based on military strength. c) This attempt by the LTTE was defeated militarily by the Democratically elected Government of this Country. d) Those who sought a final “solution” in that manner have no moral or legal right to renegotiate after such a defeat. If a precedent from a source that is close to the heart of the present Government is required, the imposition of a Constitution by America on Japan after the 2nd World war may be cited. e) The collaborators of the Natzi’s were not permitted to negotiate after the Natzi defeat. We suggest that entrenched clauses be incorporated to the Constitution vis-a-vis the LTTE and their supporters that are similar to those which are still in place against the Natzis in Europe. Professionals with National interest at heart should form a committee and draft an entire new Constitution based on the above basic principles and submit to all our legislators for their consideration in due course. 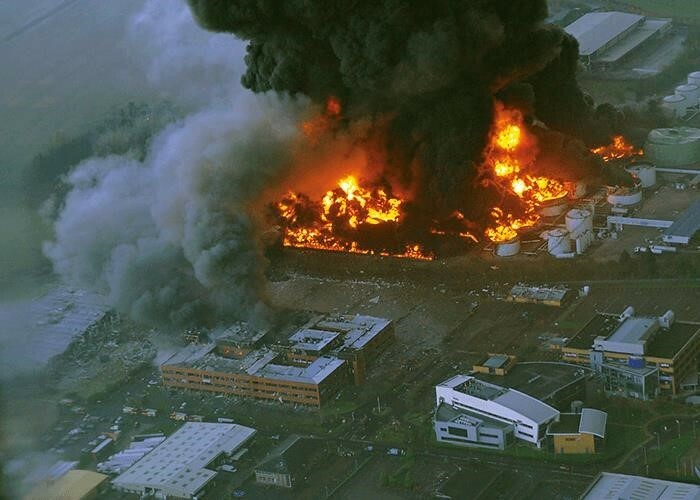 DISASTERS OF FIRE INCIDENTS – ARE WE READY? 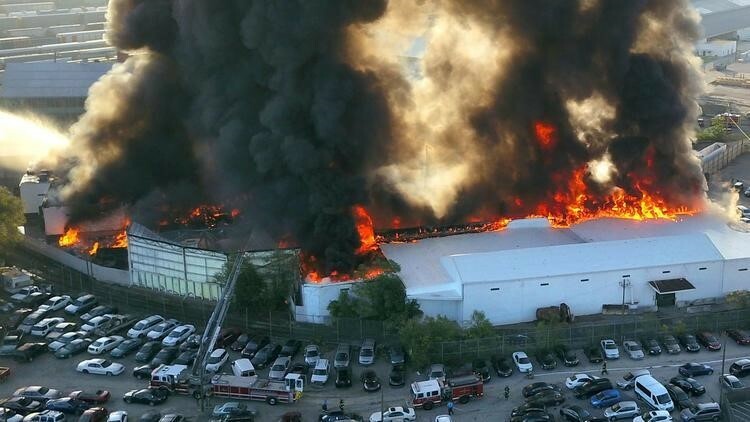 Recent fire disasters in the world have interestingly occurred primarily in developed countries that abide by Fire Engineering rules and regulations known as “Codes, Standards, Data Sheets” or “Engineering Standards”. These rules and regulations are statutory documents and offenders found in breach can be prosecuted. The set of above mentioned rules and regulations prescribe “Minimum Mandatory Requirements” against fire destruction of life and properties. Despite these existing standards, there have been many disastrous fire incidents recently, such as the incident at Grenfell Tower, which aroused great interest mainly due to its location in West London. This fire disaster created huge property destruction and carried an extremely high fatality rate, despite the United Kingdom being a world leader in Fire Prevention standards. More so, it is even more shocking for such an event to occur in the 21st century; a time when the United Kingdom views itself as a pioneer in advances in science, technology and engineering in fire prevention. 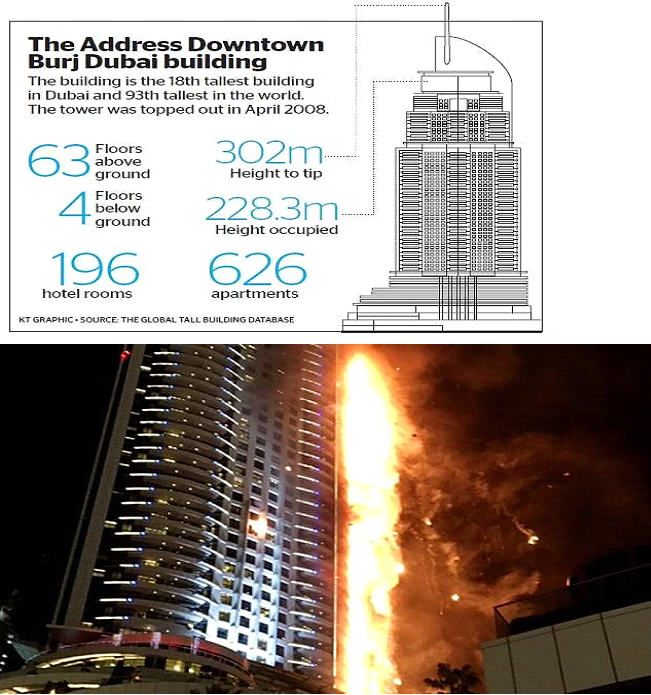 Before exploring details of recent fire disasters worldwide, it is important to provide a general overview of Fire Engineering. Fire Engineering is a relatively new discipline amongst other classical engineering disciplines such as Civil, Electrical, Mechanical and Chemical. 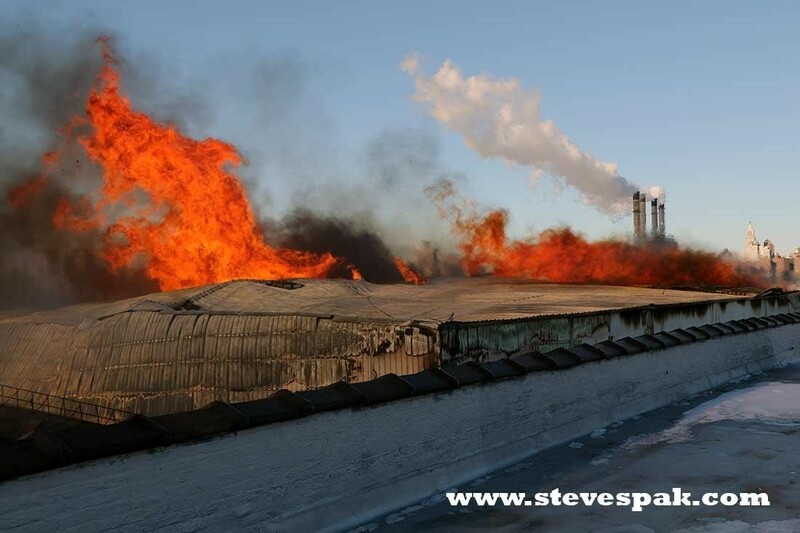 It applies technological, engineering and scientific findings developed through research on Fire Inception and Propagation by case studies, full scale fire testing and statistics. These aim to confine fire incidents to the smallest possible area, thus improving safety, reducing fatalities and minimising property losses. Area; app. 10,000 sq. meters. The skyline of Sri Lanka is rapidly changing with the increasing development of high rise buildings used for residential, hotel and office purposes. Given the country’s rapid economic development, there is likely going to be a move towards the growth of super high-rise buildings, warehouses, distribution centres, logistic facilities, factories, oil storage facilities, residential buildings and international hotels. Such infrastructure expansions are imperative for the country’s economy to keep up with the pace of local and international export demand. 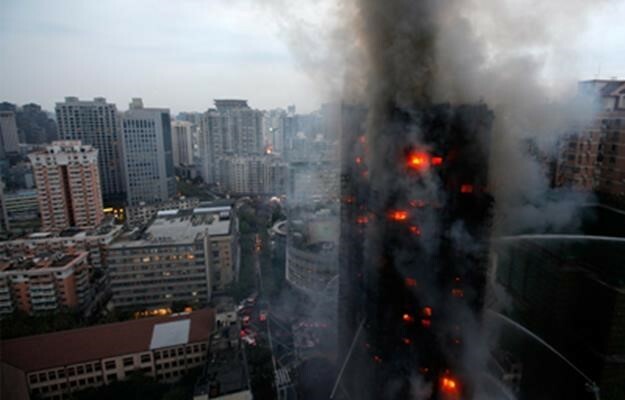 In view of the above, the production processes, storage of goods in warehouses and distribution centres, activities in high rise buildings and other infrastructure facilities may increase the risk of starting a fire incident accidentally or deliberately. 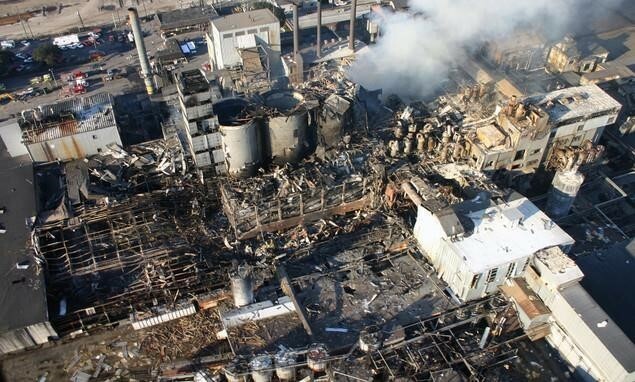 The most commons reasons for this is due to failure of electric systems, production processes involving combustible or flammable raw material, combustible dust emissions, hot work, cold work and inevitably, the role of human error. Unfortunately, there have been situations whereby employees and the public fire brigade alike have failed to control or confine fire using available fire-fighting resources, leading to devastating consequences of loss of human lives and property loss worth millions, if not billions. What is our plan for the Readiness? We need to understand that in the midst of the rush for development, there could be a situation where safety of people and properties may be compromised. 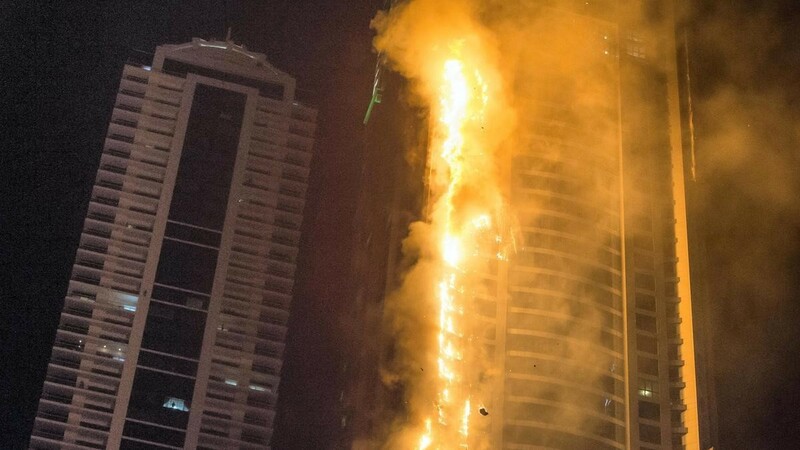 Safety may not be prioritised by authorities involved in infrastructure development as it could slow the completion of construction and consequently, critical protocols regarding fire safety, and safety as a whole, may be missed. Our experience and exposure suggest that such technical lapses and omissions occurred in major countries during rapid development and as a result, the above-mentioned fire incidents happened with greater devastation. It is also very important to recognise that those countries in which the above fire incidents occurred, have highly developed infrastructure for firefighting and engineering standards in place. 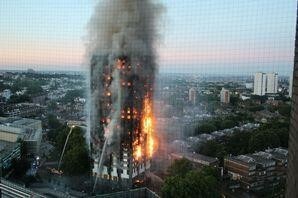 Nevertheless, these devastating fire incidents still occurred. 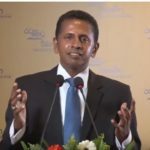 In view of the above, Sri Lanka must start learning from the experiences of others and take action before disaster strikes. Being proactive and learning from previous mistakes is crucial in order to prevent the devastation and destruction that accompany fire accidents. It is imperative to understand the importance of firefighting internally & externally and the necessity to impose statutory requirements on fire prevention measures in various occupations, operations and activities. If existing protocols are found to be inadequate, remedial measures must be taken promptly and in a coordinated approach to ensure effective application.